Harry Potter fans are invited to experience Christmas in the Wizarding World and discover how film-makers created fire, ice and snow that never melts as Warner Bros. 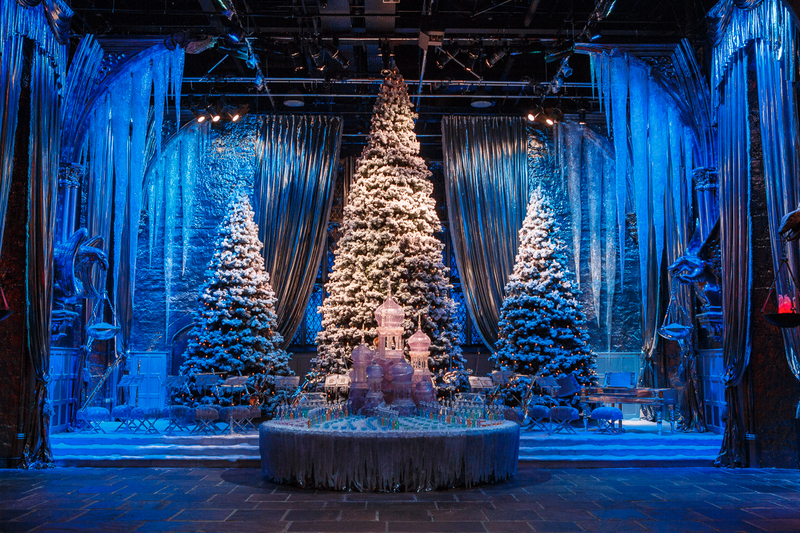 Studio Tour London undergoes a magical makeover for Hogwarts in the Snow. From Saturday 17th November – Sunday 27th January 2019, visitors will have the opportunity to see the Harry Potter film series’ most iconic sets decorated for festive scenes. The Great Hall will be transformed, the Gryffindor common room will be dressed for the season and a blanket of film-making snow will be meticulously applied to the majestic Hogwarts castle model. As always, tickets for must be pre-booked from the website, which you can do by clicking this link. Tickets for the Dinner in the Great Hall event must be purchased separately – they go on sale at 10am on September 25th via this link.